NUVO is an elegant, modern, functional and easy-to-use responsive parallax WordPress theme that has been purposely built for the restaurant, cafe and bistro industry. The theme allows you to choose between the different demos for each type of food establishment or create your very own style to match your restaurant, cafe or bistro business. Packed with every premium WordPress plugin, booking, events, galleries, slideshows and menu management tools you will ever need, you will have your NUVO Restaurant website up and running within days. 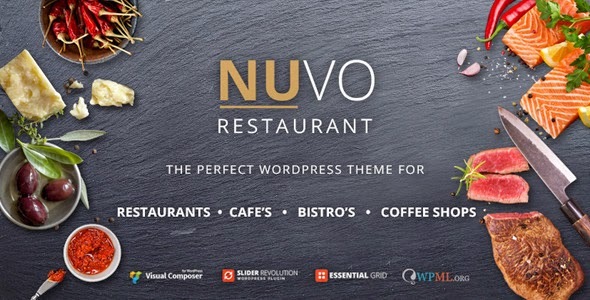 Item Reviewed: NUVO Restaurant Cafe & Bistro WordPress Theme 9 out of 10 based on 10 ratings. 9 user reviews.